1. Download the Candidate Handbook. The Detailed Content Outline will serve as a study guide for the Certification Exam. 2. Download the Institute’s “Sample Formula Sheet for CIMA Certification.” The formulae on this sheet are a resource only, and are not a substitute for understanding and applying the topics covered on the exams. This formula sheet, which is updated periodically, contains formulae that may be expressed differently by academic publishers and providers of study/review materials. 3. Review Investments & Wealth Institute's Code of Professional Responsibility. A number of resources are available to understand the CIMA certification process and study for the Certification Exam. The following resources can help candidates study for the Certification Exam. No single resource, however, is intended to provide exhaustive or comprehensive coverage of all topics found on the exams. These resources are designed to enhance a candidate’s knowledge in the key areas tested in the CIMA certification program. Ultimately it is the candidate’s responsibility to determine how comfortable they are in their knowledge of the topics included on detailed content outlines for the exams and to seek additional industry resources.  This free online resource for candidates who are also Investments & Wealth Institute members provides topic overview readings, section quizzes, and other helpful resources, including calculator tutorials. The following independent providers offer examination review, tutoring, and/or overview services to candidates and interested individuals. Any college level textbook that teaches to the topics on the detailed content outline for the exams can serve as a study resource. View example textbooks. Candidates should familiarize themselves with an acceptable financial calculator. Guidance for using non-programmable calculators can be found on the independent websites: eLearnAbout or Calculator Tutorial Index. Investments & Wealth Institute will allow use of the following calculators on Certification Examination: HP 10b, HP 10bII, HP 10bII Plus, HP 12C, HP 12C Platinum, HP 17B, HP 17BII and HP 17BII Plus, as well as the Texas Instrument BA II Plus, BA II Plus Professional and BA II Plus Business Analyst. Newer and older versions of these calculators will be allowed for use.